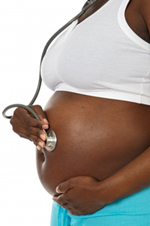 Patients are seen by the midwife at the surgeries by appointment and also by the doctors during surgery hours. The baby clinics are run by the health visitor for child developmental checks and immunisations and allow an opportunity to discuss other problems eg sleeping, feeding and child health worries, with a practice nurse or health visitor. Contraceptive care is provided by all the doctors and practice nurse during surgery hours. The doctors carry out minor surgical procedures, by appointment. The doctors are happy to carry out medicals eg insurance and HGV licence. These examinations are carried out at all four surgeries: please telephone your surgery for an appointment. Please ask at reception for the charges for these services. If you are aged 75 years or over, you should be seen annually either by your doctor, the practice nurse, district nurse or health visitor. This can be arranged at your surgery or, if that is not possible, a home visit can be arranged. An influenza vaccination is strongly recommended for all patients over 65 years of age and those with heart, lung or kidney disease, diabetes and residents of nursing and residential homes as well as their carers. 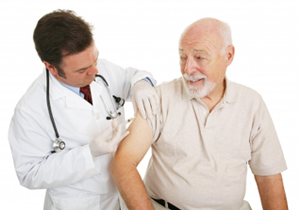 A single dose vaccination is recommended for all patients over 65 years and those with heart, lung or kidney disease and diabetes.